Underneath the ruins of West Mossoul is the church of Al Tahira, of great patrimonial significance but above all, a symbol for the Syrian catholic community. 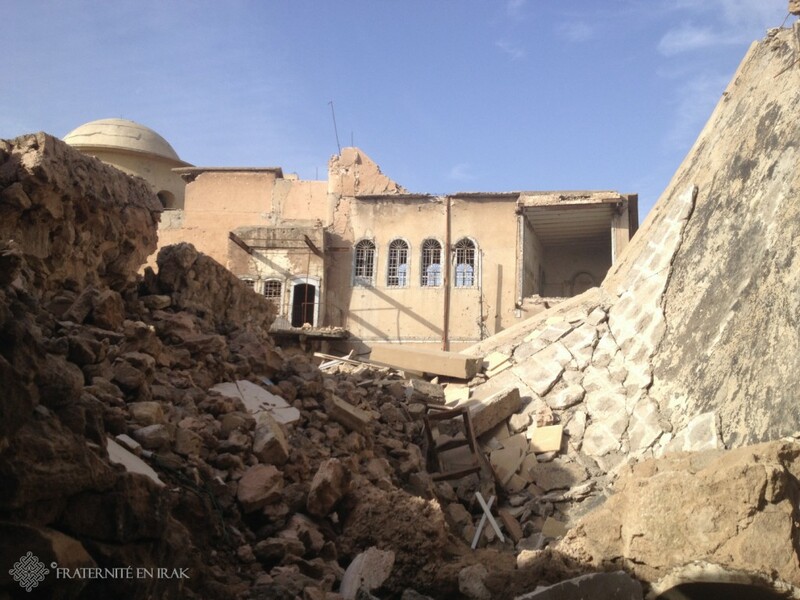 At Bishop Petros Mouche’s request, Fraternity in Iraq is about to renovate this church. We need you! Here is some insight into the project. 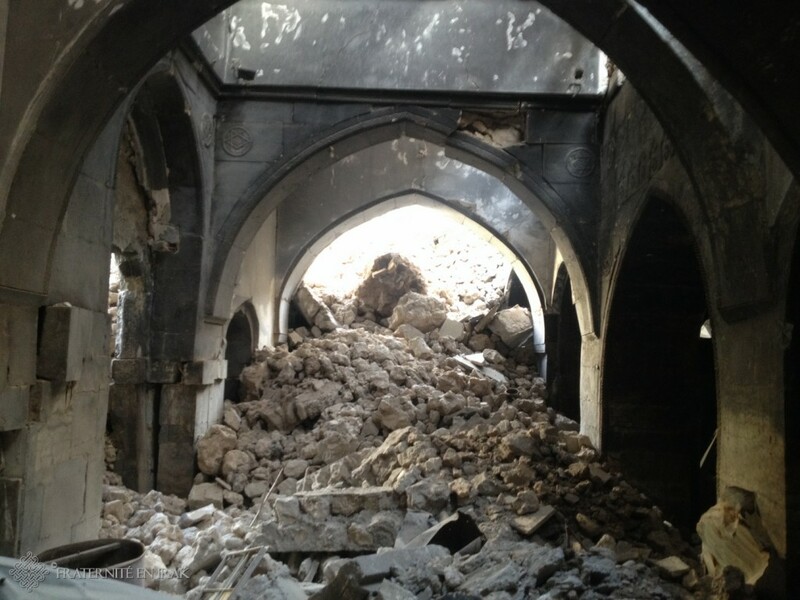 The bishop’s house and the “new” cathedral of Al Tahira (Immaculate Conception) look irremediably destroyed. The “old” cathedral of Al Tahira, whose origins date back between the 7th and 8th centuries, located in the same small block, is also very damaged. Somehow, parts of its structure of patrimonial significance have been preserved, as it was built partly underground – which is also proof of its great age. Today, we are calling upon your generosity to make this reconstruction possible. That reconstruction project takes place in a complex environment and context, and will require hundreds of thousands of euros. The association trusts in its ability to take up the challenge, thanks to its experience with the rebuilding of Mar Behnam’s mausoleum, which had been blasted by Isis. Any help is welcome. We hope to get numerous donations, but beyond generosity you would help us a lot by spreading the word! Together, let’s give a church back to the Christians of Mossul! ← Wilson, le boulanger d’Ashti est rentré à Qaraqosh !